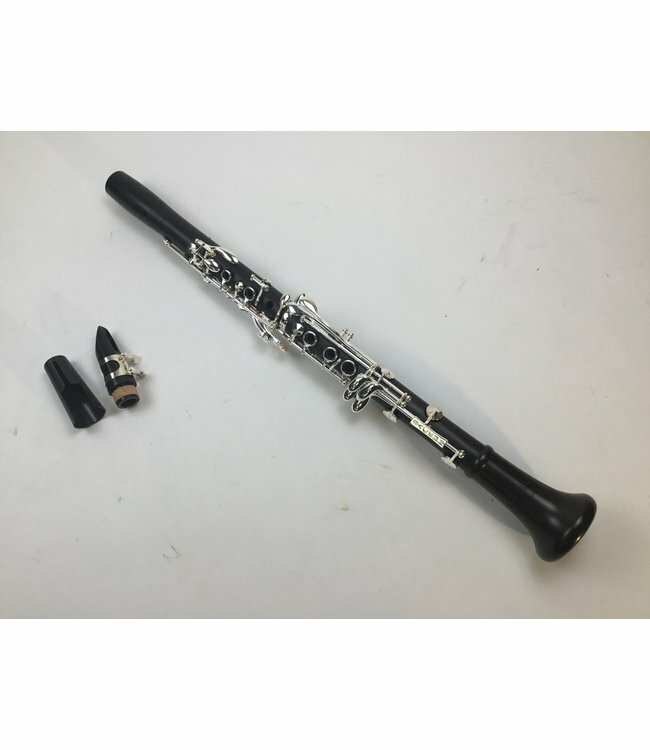 Used/Demo Backun Beta Intermediate Bb clarinet. Some slight signs of usage due to in store test playing. Features grenadilla wood barrel, body and bell. Made in Canada. Comfortable blowing resistance with ergonomic key work mechanism. Other features include water resistant black Valentino pads, an adjustable thumb rest with neck strap ring, and a durable hard shell case.